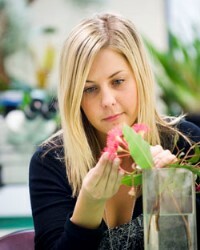 Most students studying biological sciences are enrolled in either the Bachelor of Science degree or the double degree of Bachelor of Arts/Bachelor of Science. In addition, there are many other single and double degrees in which you can include biological sciences as part of your degree program. For more information visit the Monash Course Finder. For further details on the possible double degrees and their requirements see the Monash University Undergraduate Handbook. The School of Biological Sciences offers students a choice of units leading to an extended major in genetics and ecology and conservation biology (72 points = 12 units), a major (48 points = 8 units), or a minor sequence (24 points = 4 units) in the following areas:, ecology, and conservation biology, environmental science, genetics, and freshwater biology, molecular biology, plant sciences and zoology.